Do you remember the first time you got interested and excited about flight? Do you recall a key person who helped your journey to a life time passion for aviation? life long passion and career. Subjects include Power Plants, Aerodynamics, Helicopters, Aviation Materials, Space Operations, Weather and Aviation Careers. Students are divided into escorted smaller groups that rotate through several learning stations with experienced aviation instructors and technicians. Students are in direct contact with real aircraft and equipment, with the assistance of qualified pilots/instructors and engineers. Would you like to experience an AeroED Day and begin a journey of discovery with aircraft and Aerospace experts? Thank you for your interest in Aerospace-STEM as a focused and powerful platform for STEM discovery and learning. "Aerospace" as an area of study has an infinite supply of inspiring, real world content to capture the attention, focus and imagination of youth. STEM Educators can have the opportunity to learn directly from experienced Aerospace Professionals a variety of subject areas in-depth. Learn from Aerospace professionals with real world experience in AeroSpace STEM topics and willing to share with current teachers in need of professional development to meet new standards. If you have responsibilities for STEM education and would like to utilize Aerospace as a platform, please enter you contact information for updates on 2018 opportunities for you. Thank you for your interest in Aerospace-STEM as a focused and powerful platform for inspiring STEM discovery and learning. Today we have an alarming shortage of youth interested in STEM, and STEM-qualified teachers. Just 16 percent of American high school seniors are proficient in mathematics. The future of our national prosperity now ranks 25th in math and 17th in science among industrialized nations. 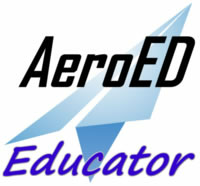 Active, Veteran, retired professionals in Aviation and Astronautics, including pilots, aircraft owners, flight instructors, Active and Veteran Military are all credible teachers of Aerospace STEM topics to current teachers in need of professional development to meet new standards. If you are such an experienced Aerospace professional, please enter your contact information for updates on 2018 opportunities to share your firsthand knowledge with STEM educators.